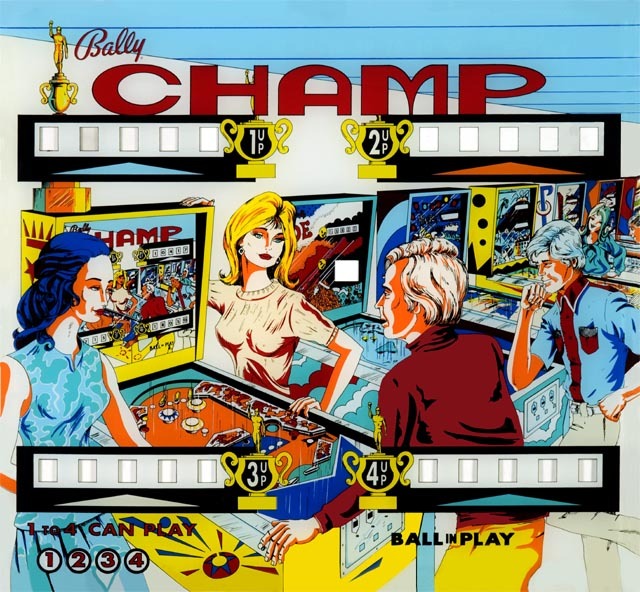 So a guy walks into the shop with his original 1974 Bally Champ backglass. We just couldn’t believe how faded the glass had become. It was weird too, because a lot of the red had faded, but not all of it. Also there was orange in the glass, which isn’t very predominate normally. 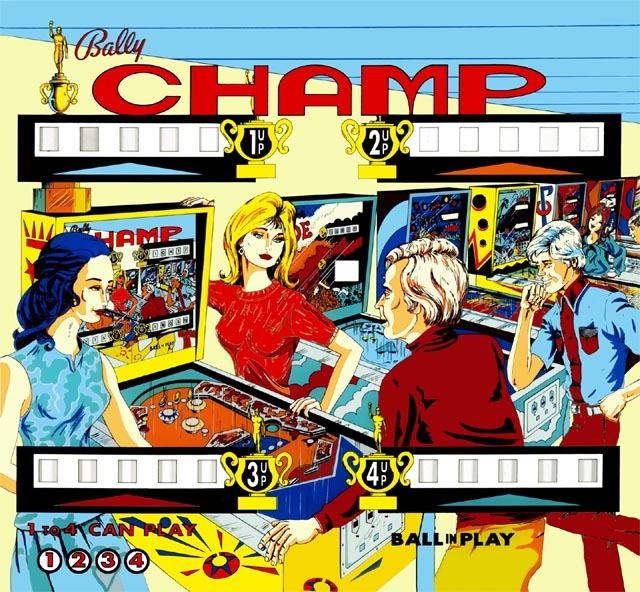 So we did the scan and restoration, but we had to get some other pictures of Bally Champ glasses to really make it “right.” It turns out there’s a couple different variants of this glass, and we choose the one with the most color. Check out our before and after results below.